"I was getting ready to go to sleep, when unexpectedly in my bedroom I heard the audible voice of the Lord say: “Something will happen in the United Nations to facilitate the New World Order about to be put in place by the year 2012. 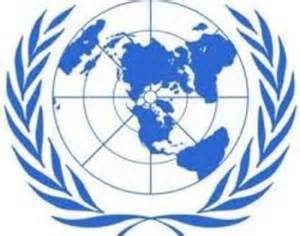 Something of major proportions will take place involving the United Nations in the year 2012”. Something is going to happen involving the United Nations that will have repercussions in facilitating the establishment of the New World Order in 2012. I was not shown what the event will be but maybe it will be revealed as time progresses. I have a feeling it may have something to do with the land of Israel, maybe the city of Jerusalem. It could be an anouncement acknowledging the arrival of Aliens, the revealing of the Imam Mahdi/Maitreya or maybe all of the above. But that is just my opinion.